Predicting the possible outcome of in-vitro fertilization (IVF) before the procedure takes place is a main goal of reproductive research. If doctors and reproductive specialists can find a test that predicts outcome accurately, fewer cycles of IVF treatment would be needed, in some cases. Researchers at General University and 1st Faculty of Medicine in the Czech Republic believe they've found a test that could work as an accurate predictor. For the study, 58 women used IVF to become pregnant. Half of the women did conceive, but the other half did not. The research group used blood donations from 40 healthy non-pregnant women and 29 pregnant women as controls. MMP-9 or matrix metalloproteinase 9, was highest in women undergoing IVF who were able to conceive. 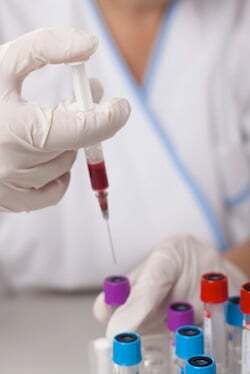 Conclusion: Researchers believe serum MMP-9 level testing could give fertility doctors a look at possible IVF outcome. Low levels could mean the IVF treatment will not work while higher levels could mean a better chance of conception. Source: Horka P, Malickova K, Jarosova R, Janatkova I, Zima T, Kalousova M. Matrix metalloproteinases in serum and the follicular fluid of women treated by in vitro fertilization. J Assist Reprod Genet. 2012 Sep 28.